Welcome to your new, updated, move in ready home in the highly desirable Big Ridge neighborhood! 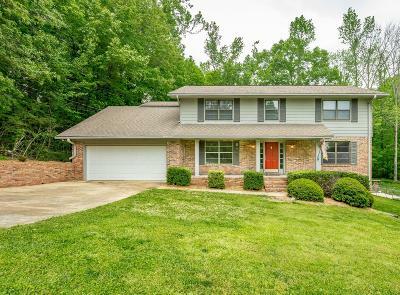 As you pass the beautiful azaleas and enter the front door, you'll notice the Brazilian cherry hardwood floors that run throughout the top two floors. Off the main entrance there is a spacious dining room to one side and formal living to the other. The kitchen features tile, tons of cabinets, and a breakfast area. The casual family room with fireplace and screened in porch finishes out the main floor. Upstairs you'll be able to enjoy an over-sized master with additional space for nursery or office, and master bath. On the same floor are three more, generous bedrooms and a full, renovated bathroom. While heading down to the basement you'll enjoy a large, remodeled bonus room with a bar in addition to a bedroom and full bath.